Greenery is vital to the health of our cities – and our health, period. Here are four Canadian green space renewals, from Montreal to Vancouver, that promise to inject much-needed nature into urban environments. In cities, the importance of green spaces can’t be overstated. Countless studies suggest that parkspace has myriad benefits to urban environments: they increase air quality, with one tree offsetting 48 pounds of carbon dioxide annually; they combat the heat island effect, with the World Health Organization reporting that parks cool surrounding areas by one degree; and they prevent erosion, help rainfall retention, reduce energy costs, promote biodiversity, lower obesity rates, and the list goes on. It should come as no surprise, then, that many Canadian cities are developing plans to increase their green space – Vancouver, in fact, has an ambitious plan to become the greenest city in the world by 2020, an aggressive step the coastal city sees as critical to its survival. They’re not the only ones, though. 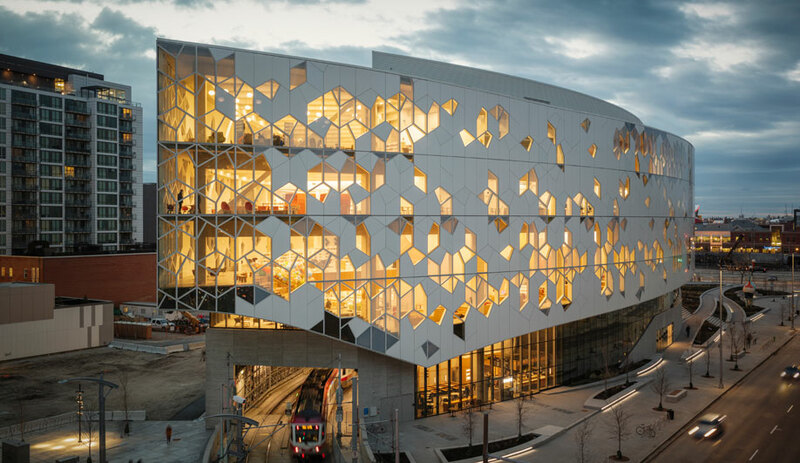 Here are four other Canadian projects that are colouring underused urban space green. 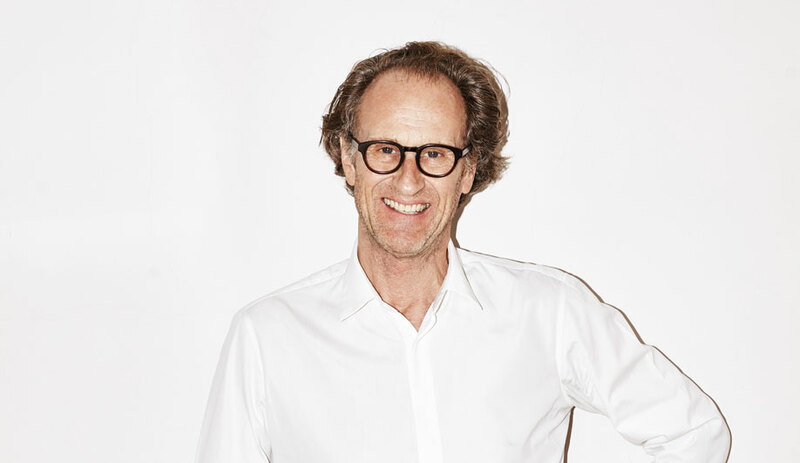 In Montreal’s Saint Laurent – the 93,000-person borough to the northwest of city centre, not the bustling downtown street – the interdisciplinary team of Table Architecture, LAND Italia and Civiliti has won a competition to create a master plan for a sprawling urban park. The team, made up of landscape architects, designers and ecologists, will connect residential, industrial and commercial areas stretching across 450 hectares with a green strip intended to restore the island’s original biodiversity. It should also help to regulate the temperature in St-Laurent; 70 per cent of the territory is covered by an industrial park, and it is currently one of the largest heat islands in Montreal. The Saint-Laurent Biodiversity Corridor is an intervention designed to create an “atypical and resilient landscape and strongly assert the maintenance of spaces not intended for humans.” It is, primarily, meant to gradually promote the longevity, variety and movement of wildlife. 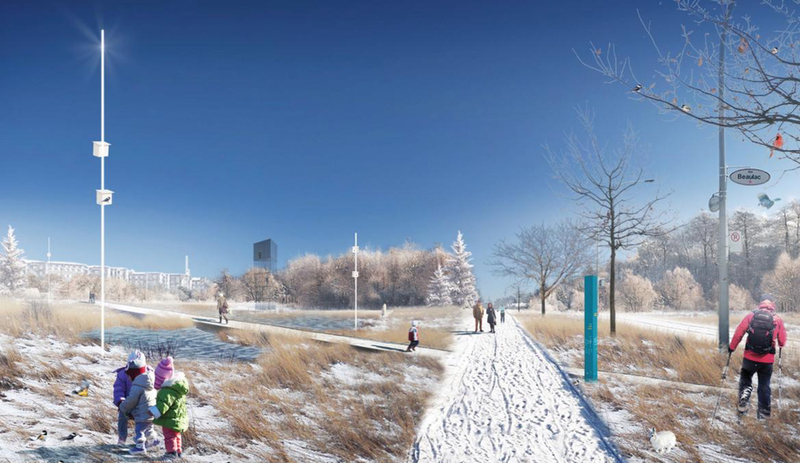 But still, it exists within an urban context: stretching between Boulevard Cavendish, Highway 40 and Bois-de-Liesse nature park, a century-old woodland, the plan will implement a network of hiking, cycling and ski paths meant to tie together the borough’s attractions. The city hasn’t yet announced a completion date for the project, which kicked off in May. The Arbutus Greenway, a nine-kilometre belt linking the Kitsilano neighbourhood to the Fraser River, is set to become a key part of Vancouver’s aforementioned plan to become the world’s greenest city. Though a temporary pedestrian and bike path is currently in place, the Greenway is expected to add many more amenities to the former rail corridor. Eight “character” zones are planned: Harvest Table, Electric Alley, The Ridge, Woodland Bend, Kerrydale Pass, Garden, Marpole Meander and the Lookout (above). All have different functions, ranging from being agriculture- to ecology-focused. The area was formerly owned by CP and purchased by the city in 2016. The rejuvenation is built around three concepts. 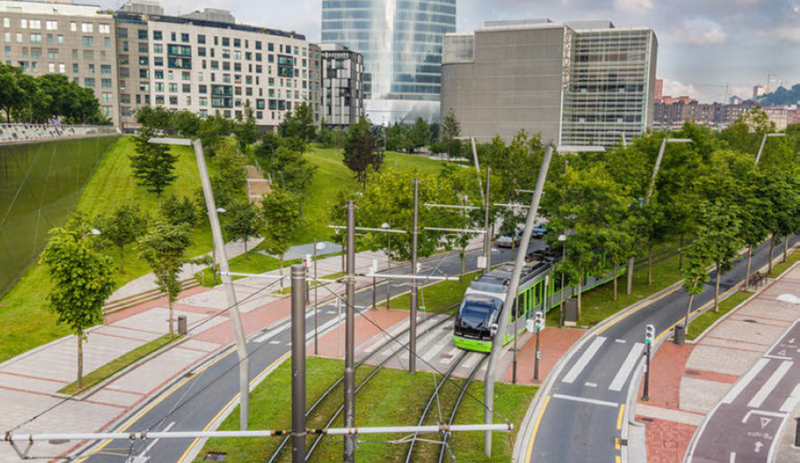 First is travel, which will prioritize multi-modal transportation, including pedestrian paths, cycling tracks and light-rail transit. 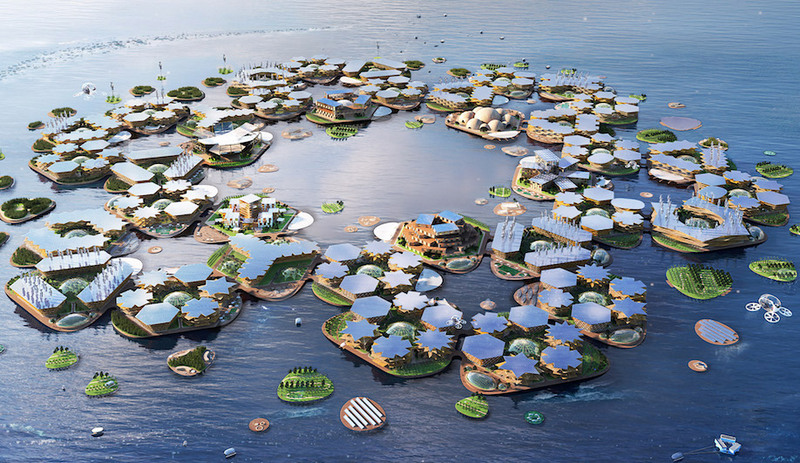 It will also bring nature to the city, adding worm farms, compost bins, rainwater gardens and even a faraday cage – where phones will be prohibited. Finally, spaces devoted to gatherings will add community-centric features like a band shell, tree houses, public art and more. The city has pledged to work with the Musqueam, Squamish and Tsleil-Waututh Nations on the development of the land. 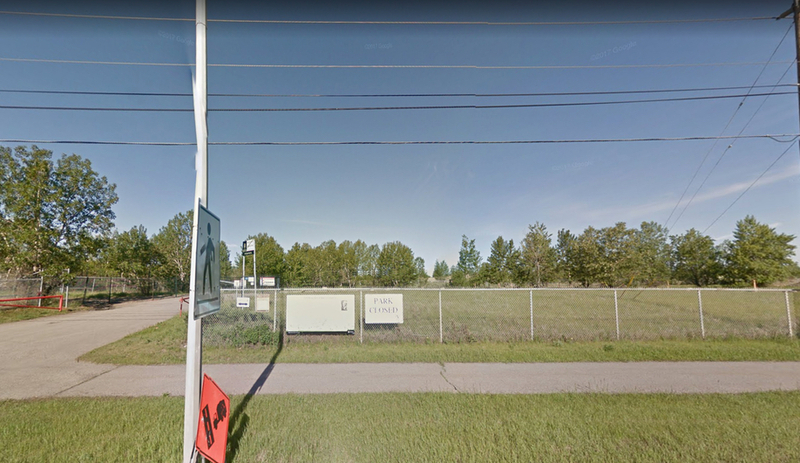 Twenty years ago, subdivisions located in Calgary’s Lynnview Ridge were forced to evacuate due to soil contamination, the result of sitting on a former Imperial Oil refinery site. Which was a tragedy in more than one way: the southeast Calgary neighbourhood had a prime location, nestled on the Bow River south of Inglewood, one of the city’s oldest – and beloved – districts. By and large, the neighbourhood was abandoned, and much of the land was repurchased by Imperial Oil. Cleanup efforts have been underway since 2014, when the city and Imperial Oil – which demolished its refinery in 1977 – began a $31-million project to clean up the lead and hydrocarbons in the ground. It’s still not safe for permanent human habitation, but it has another use: it’s becoming a park. 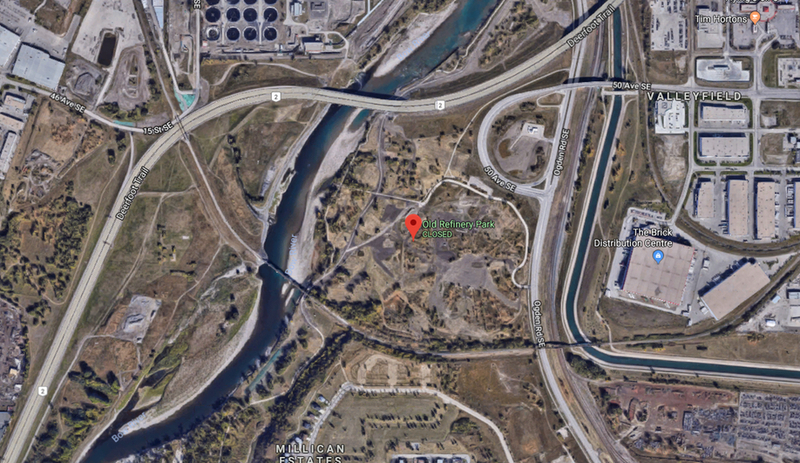 The city’s plan reveals how toxic the ground actually was: contaminated water was pumped from the ground, cleaned, then returned, while an underground barrier has been installed to prevent toxins from spreading to the Bow River. 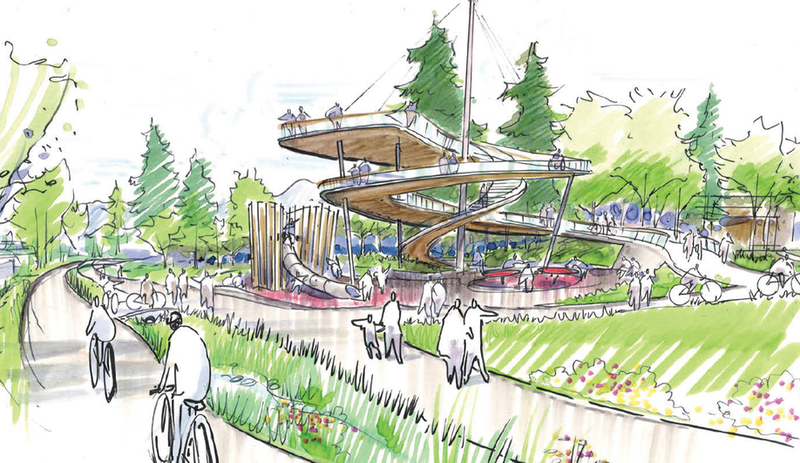 The park will connect to Calgary’s already extensive ravine system; bike paths will open in May, while the rest of the park is slated to open in October when greenery matures. The construction of an LRT station nearby will further connect Lynnview Ridge to the city. For years, a debate has raged over how to better connect Toronto’s transit system, the TTC, to the underserved – yet populous – neighbourhood of Scarborough. Soon, the 625,000-person suburb will have another critical connection to Toronto – though, sadly, it isn’t an LRT line. 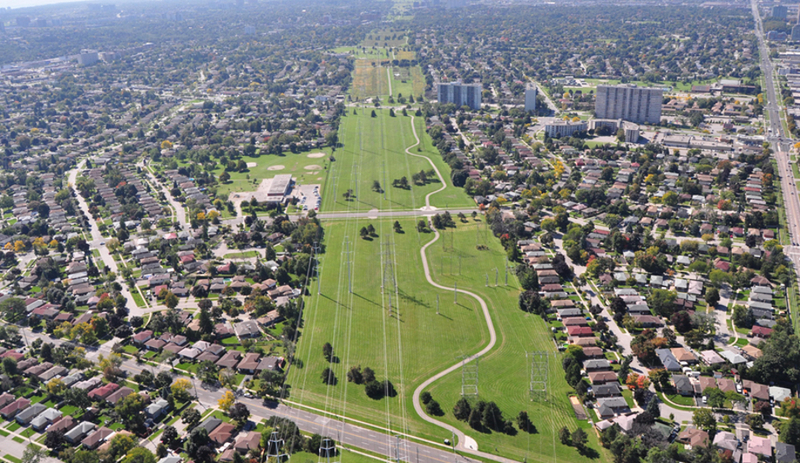 The Meadoway is a hydro corridor that’s being converted into 16 kilometres of linear green space. 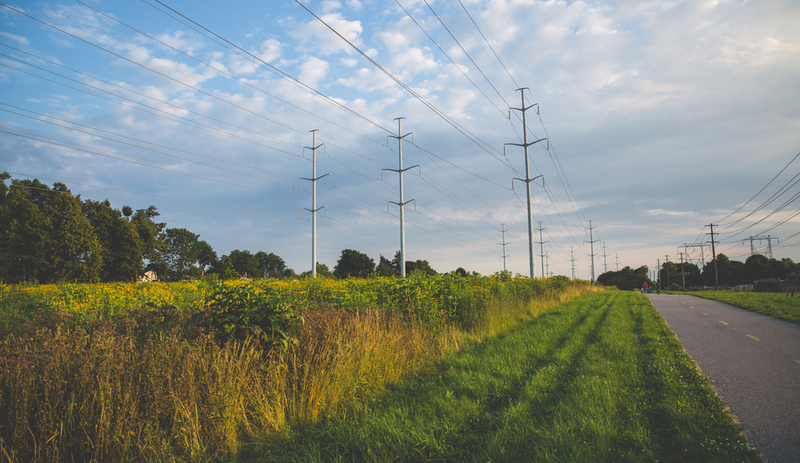 The $85 million project, developed in partnership between the province and Hydro One Networks, will link Rouge National Urban Park to the Don River Ravine in the Don Valley, located at the northeastern fringe of Toronto’s downtown. 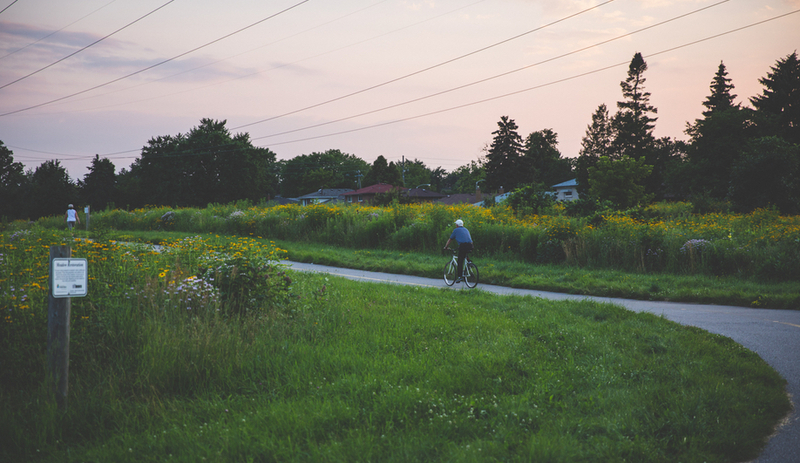 The 200-hectare Meadoway will travel through some of Toronto’s densest regions, linking 34 neighbourhoods, 14 parks and four ravines. 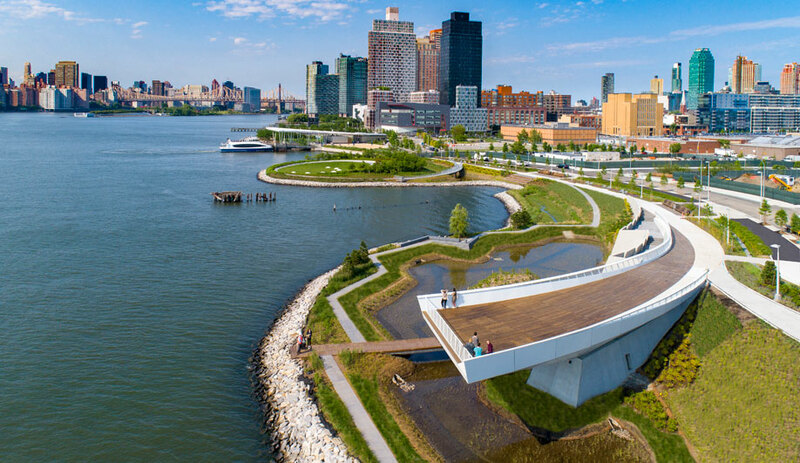 It will also provide uninterrupted, car-free paths to the city for pedestrian and cyclists, which promise to boast more than 1,000 species of flora and fauna. 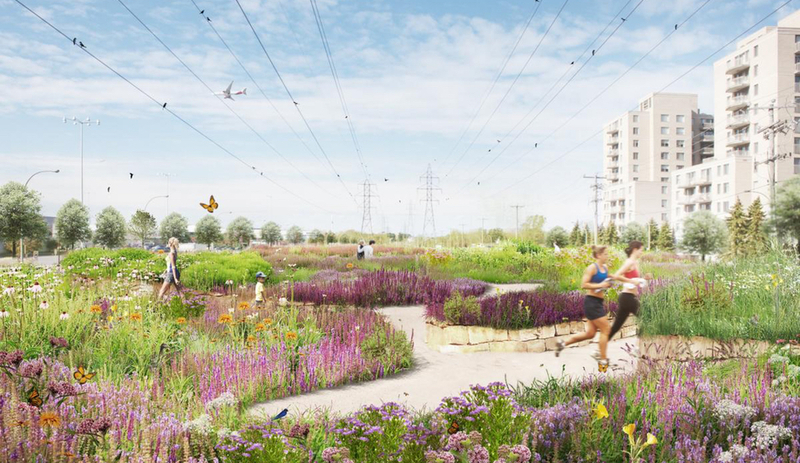 When completed in 2025, the linear park will not only be the largest of its kind in Canada, but it will also contain 10 agriculture gardens and promote scientific research.